Concert Pharmaceuticals announced that the Food and Drug Administration (FDA) has granted Fast Track designation for CTP-543, a novel oral Janus kinase (JAK) inhibitor for the treatment of moderate-to-severe alopecia areata. The FDA grants Fast Track status for Concert Pharmaceuticals’ CTP-543 for the treatment of moderate-to-severe alopecia areata, an autoimmune disorder in which the immune system attacks hair follicles resulting in hair loss. 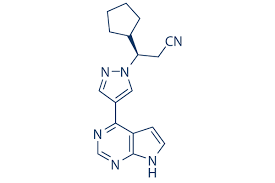 Phase 2-stage CTP-543 is an oral Janus kinase (JAK) inhibitor discovered by the company by applying its deuterium chemistry technology to modify ruxolitinib (Incyte’s Jakafi). Ruxolitinib has been used to treat alopecia areata on an off-label basis. Fast Track status provides for more frequent interactions with the FDA review team and a rolling review of the marketing application. Currently, there are no approved treatments for alopecia areata and CTP-543 has the potential to be a first-in-class treatment for this disorder. The drug candidate is being evaluated in a Phase 2a, multicenter, double-blind, randomized, placebo-controlled trial in adults with moderate-to-severe alopecia areata. CTP-543 was developed by modifying ruxolitinib with the Company’s DCE platform (deuterated chemical entity platform). Ruxolitinib is a selective JAK1 and JAK2 inhibitor that is currently marketed as Jakafi for the treatment of certain hematologic disorders. Deuterium modification of ruxolitinib demonstrated a change in human pharmacokinetics that may make it an effective treatment option for this autoimmune disease. This technology is thought to improve the metabolic profile and oral bioavailability, as well as increase half-life.